With the influx of new patients from the Affordable Care Act and the ever-increasing paperwork requirements, medical dictation software has become essential to every healthcare practice. Fortunately, advances in natural language processing have made this software more affordable. This article briefly covers the most important features to consider when selecting the best EMR medical voice recognition software for your practice. A well-selected speech recognition program can reduce costs by requiring fewer full-time medical transcriptionists and preventing reimbursement denials. A presentation from the American College of Emergency Physicians found that after one year of using voice recognition software, a hospital system saved $1.4 million. Another study published by the American Health Information Management Association (AHIMA) expects that voice recognition software can pay for itself within one month. Physicians and nurse practitioners must conduct their patient appointments and finish the necessary documentation in short periods of time. 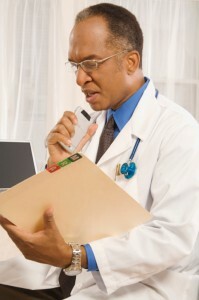 To meet these needs, voice recognition for EMR must be both accurate and equipped with specialized medical vocabulary. Look for a software that includes a lexicon from a breadth of medical specialties and subspecialties. The program should also use accent-specific acoustic models to ensure accuracy with a variety of regional accents. Additionally, using voice recognition software that is integrated into your EMR saves time and improves efficiency. A recent study published in the Journal of the American College of Radiology found that after implementing speech recognition software, healthcare providers could expect a 24-fold increase in their documentation efficiency. When selecting the best medical voice recognition software, look for one with speeds of 160 words per minute and an accuracy of at least 98%. From their office to the patient’s bedside, healthcare providers need the flexibility of documenting anywhere at any time. The best medical voice recognition software should be mobile device friendly. Look for a software that is compatible on desktops, laptops, tablets, and smartphones and functions seamlessly across both Android and iOS devices. Mobile compatibility streamlines processes across the entire healthcare organization, and it ensures safe, accurate, and timely patient care. Selecting an effective EMR medical voice recognition software with the best features allows healthcare providers to enhance their workflow and improve their productivity. For more information about choosing the best voice recognition software, contact us online or call us at (480) 782-1116.